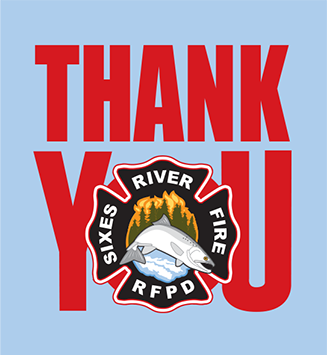 Reforest POCSA | THANK YOU For Supporting The Sixes River Firefighters! 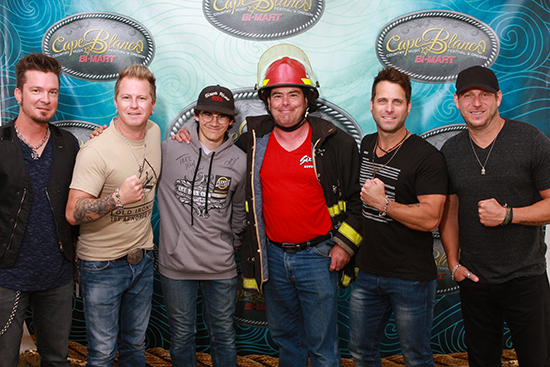 It was a heck of a three-day weekend at the fun-packed Cape Blanco Country Music Festival! 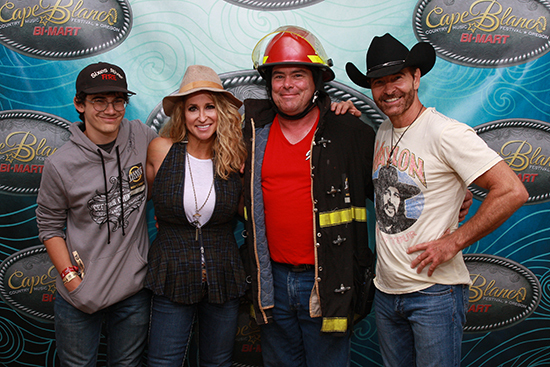 Not only did we all get to see incredible performances of some of our favorite musicians, but it was the perfect opportunity to volunteer support for our local Sixes River Fire Department while they provided fire protection for the event which attracted over 30,000 attendees to the southern Oregon coast. The firefighters would arrive early for each day of the festival, and set up in booths. In the booths we would all take turns selling raffle tickets, which sold for five dollars each. 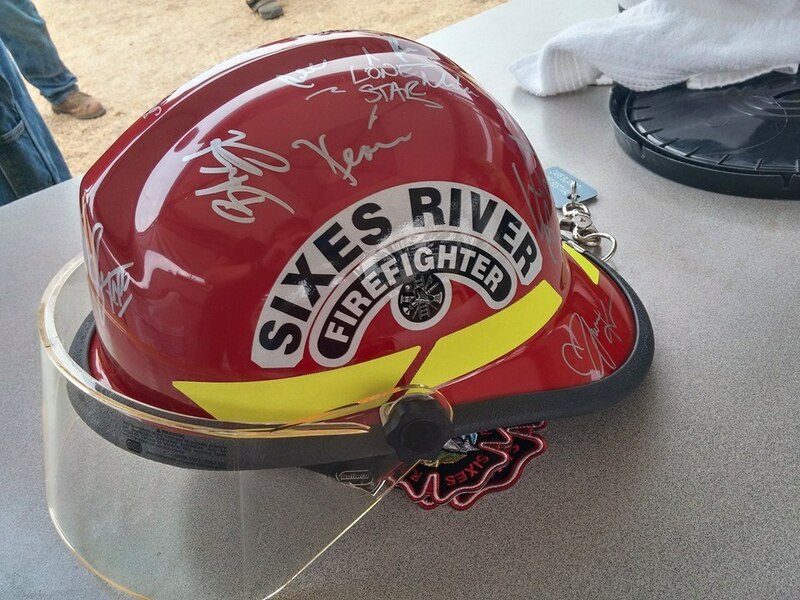 The grand prize for the raffle: a shiny new Sixes River fireman’s helmet autographed by the top stars in country music! 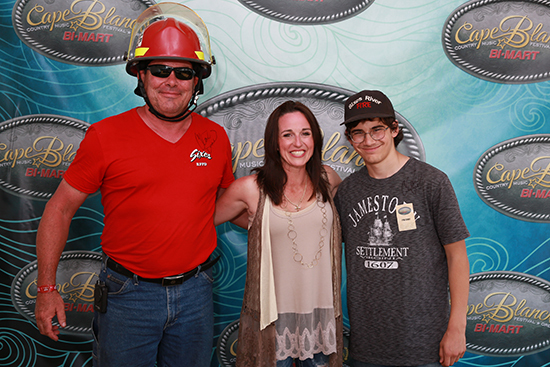 Yup, that red helmet was the only thing at the entire festival that had every single performer’s autograph on it! All you needed for a chance to win, was a five dollar bill in your pocket. The helmet. Photo Credit: Tim Leslie / SRFPD. However, as if that celebrity-autographed-collectible wasn’t enough, there was also a prize for the person in 2nd place: a Coast Redwood tree sapling. This was not any tree sapling though – it was one of the world’s first clones propagated from the stump of a giant champion tree cut own over one hundred years ago near Crescent City and recently cloned by non-profit Archangel Ancient Tree Archive. Then upon the last day of the festival, after all of the generous support given by those who bought the raffle tickets, two tickets were drawn. 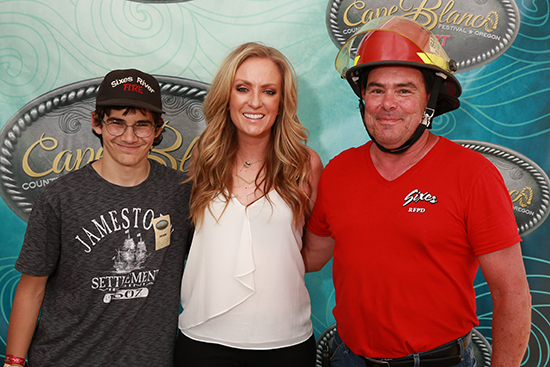 Congratulations to Jack Napier for winning the autographed Sixes River firefighter helmet, and congratulations to Robert Hescock for winning the Champion Redwood Tree clone, but the biggest congratulations go out to everyone who bought a ticket, and supported our fire department! The festival this year as awesome, as it was last year. It allows people to listen to good music, while seeing the beauty of our area, and supporting each other. And we all know that it is important to work together by volunteering and sharing resources, so that organizations such as the Sixes River Fire Department can continue protecting the communities that they serve. Yours truly and the RDC helped the firemen by printing out the posters and selling raffle tickets! I also got to go backstage to meet some of the people who signed the helmet. It was an awesome opportunity, and I am glad I could help. Parmalee. Photo Credit: Jeremy Polzel. 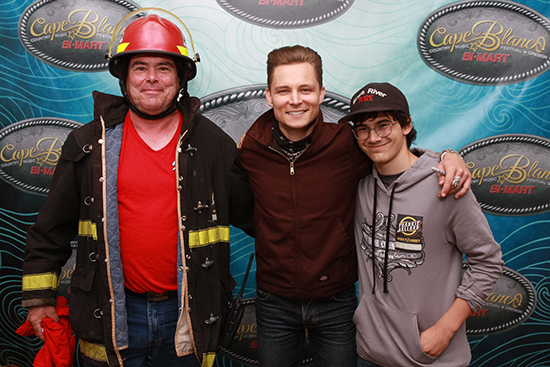 Frankie Ballard. Photo Credit: Jeremy Polzel. Trick Pony. Photo Credit: Jeremy Polzel. Amy Crawlson. Photo Credit: Jeremy Polzel. Claire Dunn. Photo Credit: Jeremy Polzel. 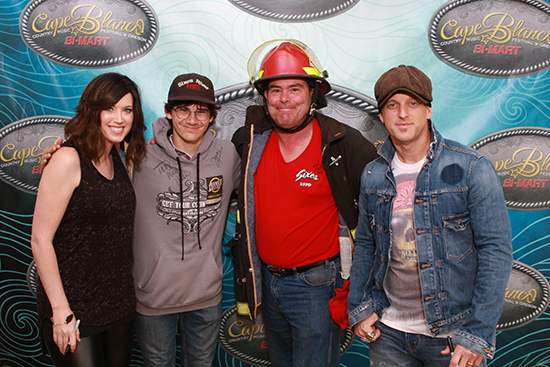 Thompson Square. Photo Credit: Jeremy Polzel. 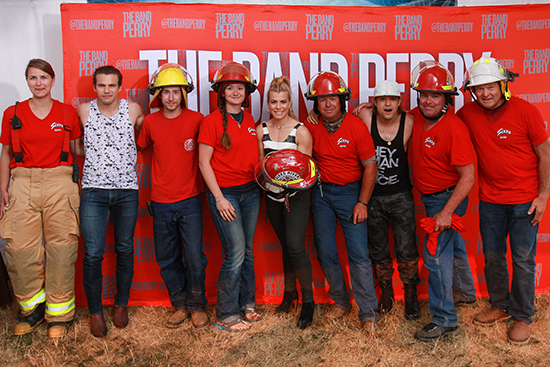 The Band Perry. Photo Credit: Jeremy Polzel.